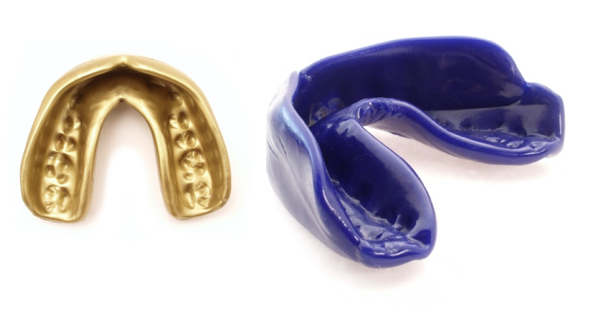 There seems to be a growing trend among athletes to wear a mouthguard as a kind of ‘fashion accessory’! Images of NBA athletes wearing their mouthguards on their ears, or sticking out of their mouths like fish hooks are becoming more and more common in the media. While this is great for showcasing the importance of having a mouthguard when playing sports such as these, it doesn’t set a good example of how to both wear and care for your mouthguard. It’s really important to have a mouthguard designed to fit well and comfortably, otherwise people simply won’t wear them. Sometimes when a child keeps taking their mouthguard out of their mouth, it’s because it doesn’t fit properly. That’s why it is so important to spend that little bit extra on a custom-fitted mouthguard. Make sure your mouthguard is in good condition before each use. A child’s mouthguard may need to be replaced every 12 to 18 months, even if it appears to be in good condition. Growth and new teeth can alter the fit. Our dentists will assess the fit of the mouthguard at your child’s checkup and recommend a course of action. An adult’s mouthguard may need to be replaced after dental treatment or tooth loss. Your dentist will be able to tell you whether recent dental disease or treatments have affected the fit of your mouthguard. Otherwise, an adult’s mouthguard should last for several years, as long as it is well taken care of. At Corinna Dental we can help you with all your mouthguard needs. We even have a great range of colours to choose from! You can find out more about mouthguards here. Ask one of our friendly staff to help you with all your mouthguard needs today.